Hello and welcome to Week 17 of #HOMwork! We’re more than 4 months into this challenge, and over 25,000 pieces of creative work (!!!) have been posted. I’m BEYOND inspired by the amount of creativity you’ve been bringing to the assignments. Speaking of creativity and inspiration: next week, I’ll be attending the 99U Conference in New York City with Adobe Creative Cloud to soak up even more of it, and I’ll be sharing all of my experiences and takeaways with you on Instagram. The theme of this year’s conference is “Challenge Everything”, which inspired this week’s assignment: What do you believe is the MOST important thing to challenge right now? Whether it’s challenging ourselves to learn a new skill, challenging the world around us, or challenging others to indulge their creative sides (like I try to do with these assignments 😊), I think we could all benefit from thoughtfully challenging more things more often. I’ve noticed that most creatives actually *need* to feel challenged in order to produce their best work. The more we question, the more we wonder, the more we challenge - the more we feel pulled to answer in the form of artwork, writing, music, and more. 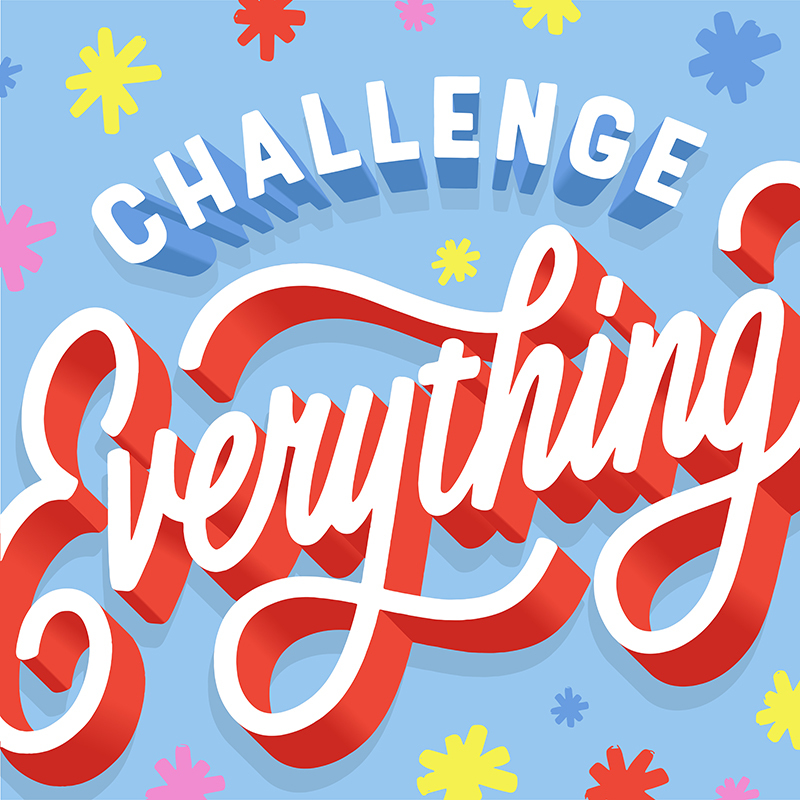 Your assignment this week is to finish the phrase “Challenge ________" in a meaningful way and create a piece of artwork about it. As always, the second part of the challenge is to post your creation on Instagram with the hashtag #HOMwork and tag me @homsweethom and @AdobeCreativeCloud so we can see what you created! In the caption, tell us why you completed the phrase the way you did and what you’re currently doing to accept the challenge yourself. Happy creating and challenging this week!